AAEP promotes timely, compassionate, and effective mental health services for persons with mental illnesses, regardless of their ability to pay, in all crisis and emergency care settings. 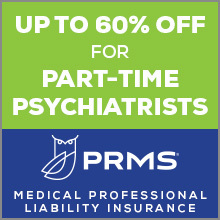 The needs of psychiatrists working in the emergency settings are unique and this Association, more than any other, strives to represent its members and provide opportunities for them to learn and to network. The American Association of Emergency Psychiatry is the voice of emergency mental health professionals. AAEP organizes regional conferences, symposia and workshops to discuss the latest information relative to emergency mental health care, teaching, research and funding. AAEP has developed a model curriculum for training in Emergency Psychiatry and continues to make a difference in the way emergency psychiatry services are delivered, improving the lives of our patients. We have collaborative relationships with consumer and family organizations, other neutral health groups, researchers, and policy groups. As an APA Allied Organization, AAEP formally represents Emergency Psychiatry within that organization. Members of the American Association for Emergency Psychiatry receive our electronic newsletter, discounts on Web Conferences, Job Postings, Brochures, CME events, and meetings hosted by AAEP. Members are granted access to the members only section of the website and have access to forums where they can be involved in discussions with members around the world. Memberships dues can conveniently be paid online here. For more information, please contact AAEP at [email protected].